Josep Ruà. Estudio Diseño de Interiores, Exteriores y Decoración. | Victoria over time. CLIENT_Victoria shoes. CAMPAING TITLE_Victoria over time. LOCATION_Bread & Butter Berlin,MICAM-Milan & Modacalzado-Madrid. GRAPHIC_Alberto Sánchez-MUT design. 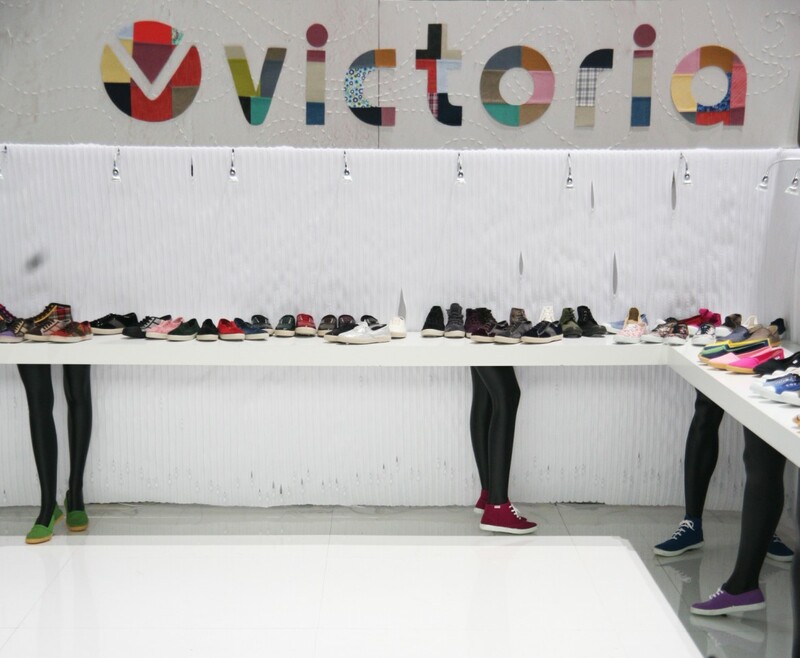 ABOUT_ Victoria’s footwear denoted a whole generation. From kids footwear it is back to our personal footwear “stocks”. This time was set a design more emotional, connected to the memory, to our memories, and to our present too. 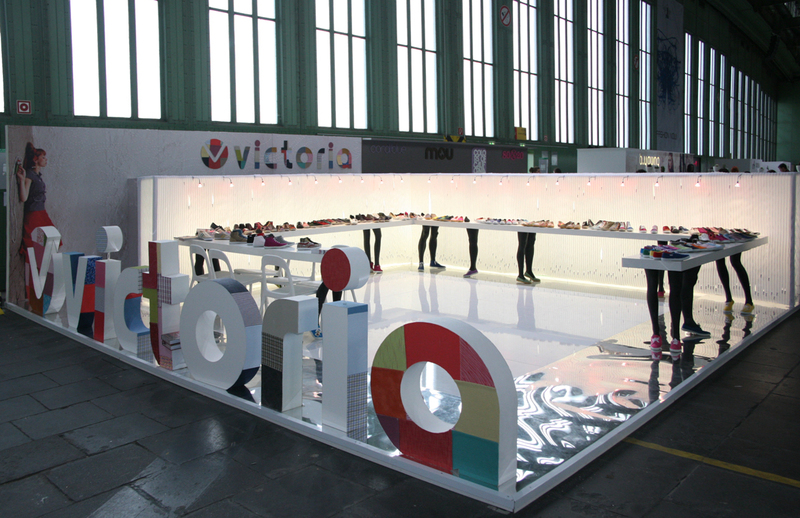 Is a booth that includes everyday’s objects and of the whole life respecting Victoria’s style that is the link which bring us from a place to another. The stand was divided into 3 “stories”, in which the present and the past got all mixed up, a feedback coming from an innovative prospective. The 1st history is referred to the zips designed like a translucent cover lit from inside. This idea emphasized with the logos through the patchwork technique, styling each Victoria’s word letters. The second story is about the graphic memory; about a picture of a girl lying on the floor, with a bulge in her hands wearing Victoria’s shoes. An young looking girl but a mature one, that maybe would still wear Victoria’s shoes even after that picture took long time ago. The shape of the volute picture represents the dreams and it’s made with Victoria’s shoelace stitched over a wood panel. From this picture the legs are abstracted into voluminous objects. The point of doing this is to give to the stand a surrealist feature, in order to get a more daring atmosphere which fit with the collection even more daring and breaker.